If you don’t want to keep your car and looking to sell it quickly in Melbourne, call on 03 9132 5056 and sell your car on the same day. Our company is famous in buying old, used, scrap, running, not running, registered or unregistered cars in Melbourne. We always honor car owners with high payouts on spot for up to $28,999. Want a quick price for your car? Being among Melbourne’s top car buyers, we give high dollar instant cash amount up to $28,999 for all cars, vans, trucks, utes and 4wds. We assure you that our prices are best in Melbourne’s car supermarket. If you’ve better price quote than Cash for Old Cars, let us know. We challenge we’ll beat all genuine offers from other companies and give you top price for your car. Sell my car Melbourne.Sell my car fast for $28,999 in melbourne Region. Not only are we famous in buying and paying best money for all car, but we also offer a smooth and easy process for picking it up. We don’t charge for car removal services. It’s totally free for all who are in Melbourne. We collect, remove and dispose cars free of cost. We arrange free pickups and removals for vans, trucks, Utes and 4wds on same day with instant cash. Our services is free for all sorts of cars. It’s our free add on service for all car owners to remove their unused car . is simple and easy. Just call on 03 9132 5056 and get your cash for old car without being worried of car removal charges and ownership transfer paperwork. We’ll do all for you. And the most important thing in our buying process is that our team complete all process on same day, and probably in one hour after your booking of car for pick up. If you are searching for professional Car Wreckers Melbourne then you are at right place. We’ve Experienced and professional team for Car Wrecking Services Melbourne. If you want to get rid of scrap and junk car for wrecking, we’ll come to you and give you cash for your wrecked car and will not charge you for Pick up and removal. Our auto wrecking Melbourne service enables you to sell your unwanted and not running vehicles for wrecking and dismantling from any location.Hundreds of Cars Wreck Everyday in our Yards. We always make it easy for vehicle owners to sell car for cash without being worried for paperwork. Our team do all the paperwork for ownership transfer for all registered and unregistered Cars. In this way, car owners save their time. You can find more information regarding selling a car on Vic road official portal. Don’t sell and remove your old or scrap 4wd for free or even for a cheap price. We offer high payouts for all 4wds of all manufacturers. If you are situated in any suburb within Melbourne and you need to sell your 4wds, call us on 03 9132 5056. We’ll come to you and give you cash for your 4wd. Paying best deals for all 4wds is our habit and we do it for you after handing in money on same day. We accept and give instant cash for cars, vans, cash for scrap trucks, cash for trucks Melbourne,Utes and 4wds of all domestic and foreign makes. We mostly buy vehicles that are of Japanese manufacturers but we also buy local and European made Cars. Many companies around Melbourne are in the same industry, but they have one drawback. They first book your car for inspection with higher prices. Then they come for inspection and pay you less than what they quoted you. And also, there process of buying cars consists on many day. 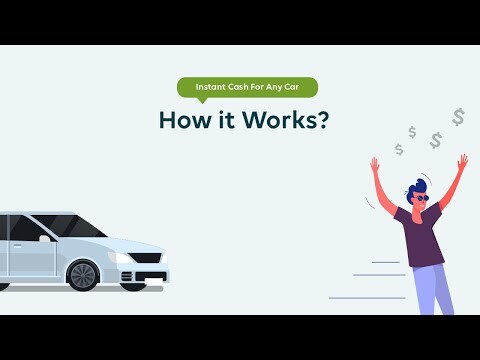 While cash for old car gives you instant money for your used and scrap car on the spot and on the same day. Another pivotal aspect of our company is that our free towing and pickup service when buying old cars. 03 9132 5056 and get your old or scrap car removed for cash. and get your cash for old car. First of all, we remove all kind of vehicles from all over the Melbourne. Not only we offer car removal for free of cost, but we also do free towing service from vehicle location to our collection center. Our Car removal team cover all Melbourne. We have a greater fleet of trucks that pick up vehicles on daily basis from all suburbs and drop off them in our different collection centers located in different suburbs of Melbourne. We buy old cars from northern, western, eastern and southern suburbs. We have a lot of customer who sold their car to us. Most of the times, they forget to forgot their personal things in the vehicle. We try our best to inspect the car whenever we collect in our collection center. But we do not give any surety that you will get your personal things back. So, whenever you sell your car to us, just keep the following things in your mind. If you forget anything, just call us and inform us as soon as possible, so that we can thoroughly inspect your vehicle before processing it. When you sell your car to experienced and professional car dismantlers in Melbourne, you’re participating in the green environment campaign. Because we make sure that every car part that is in good condition should be reused and anything else that is scrap should be meltdown in such a way that it should be recycled according to government standards. We continually enhance our policies, procedures and standards to make sure that we are doing our best to keep the environment clean. There are different ‘cash for cars‘ or ‘cash for old cars’ or ‘cash for used cars’ terms used these days to sell a car. So, we introduced a company with same name cash for old car. So, we are used and old car dealer that buying all used and old Cars in Melbourne. When people search about us, they know that they will get cash in hand for any vehicle. And more satisfaction you get, when we claim that we are LMCT license holder for buying used cars in Melbourne. So do all research about used car dealers and confirm whether they have LMCT or not. Just get more precise and authentic information regarding cash for cars on Wikipedia. Vic roads and Consumer Affairs Victoria. Wrecking Partners in Melbourne Australia. Provides All Parts and Tyres Visit their website for more details https://www.wrecky.com.au/.